I have developed a new hobby after we moved to Andalucía (or more of an obsession, if you ask my husband). I collect Andalucian ruins. 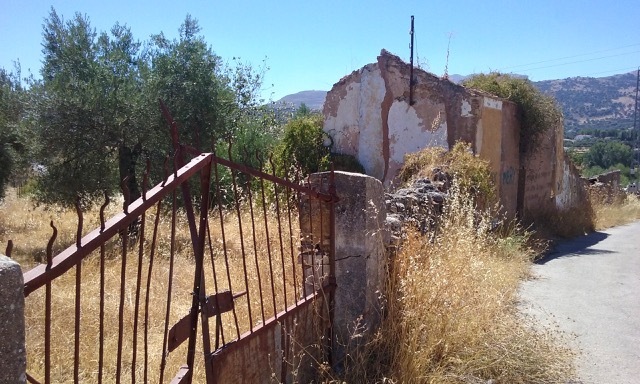 Everywhere we go I make him stop so I can snap photos of potential fixer-uppers, and since the autovías have closed access to many roadside settlements, there are increasingly more ruins to see along the Andalucian freeways. Now whether you can get to any of them is another story. Before I start my countdown, I need to add that I am not in real estate and do not represent any special interest. I do not know if any of the buildings are for sale, nor frankly do I care. It is really irrelevant to the fact, as I collect ’my’ ruins on purely aesthetical grounds. Most of the fixer-uppers are off the grid, many without road access, unless you get on a tractor or go by mule. The buildings are in various state of dis-repair, all seen from the outside. It is hard for me to say which of the ten are my absolute favourites, though possibly more so as one comes closer to number one. Most of the ruins will never be fixed, while others may have lots of restoration potential. 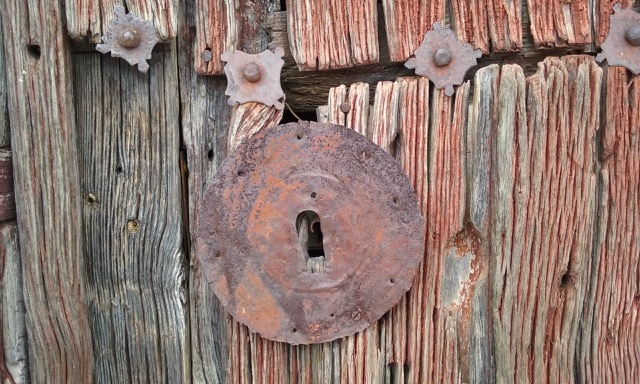 Some require more imagination than others to appreciate, though all have lots of patina and hidden beauty. 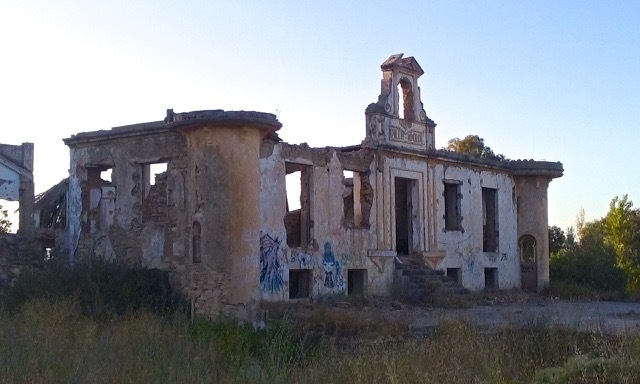 I am starting with this one, as it was my first Andalucían ruin. I actually sent it to my parents when we came to Spain. 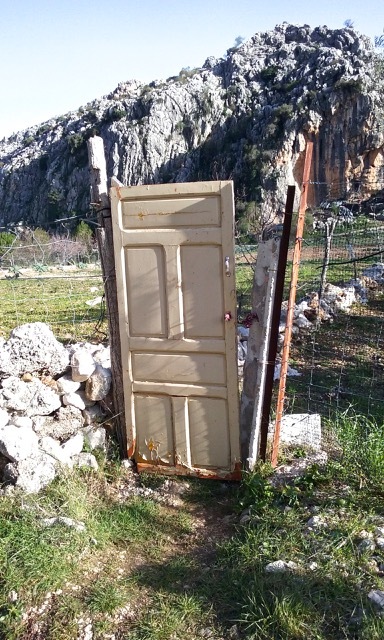 I told them we had bought this perfect fixer-upper, all it needed was a bit of TLC. My husband would do the roofing and I would see to the finer details. Such nasty things one does to shock ones old parents! 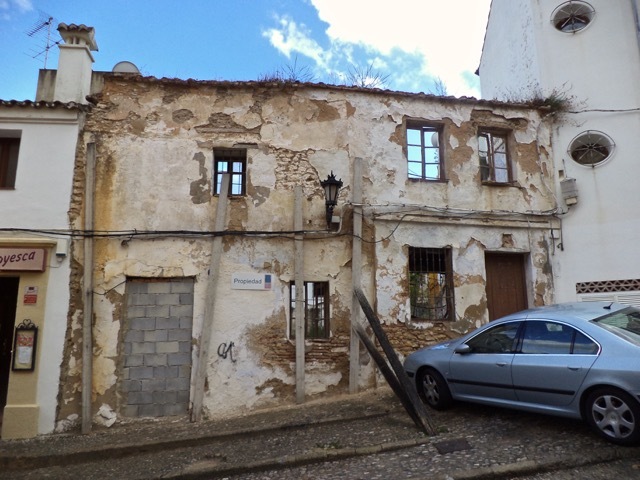 Anyhow, this ruin is located in Ronda’s Casco Histórico, across from Casa del Moro. As far as I know, it still only has the façade, though the wooden supports that somehow were to prevent it from falling have now been replaced by heavy metal supports. 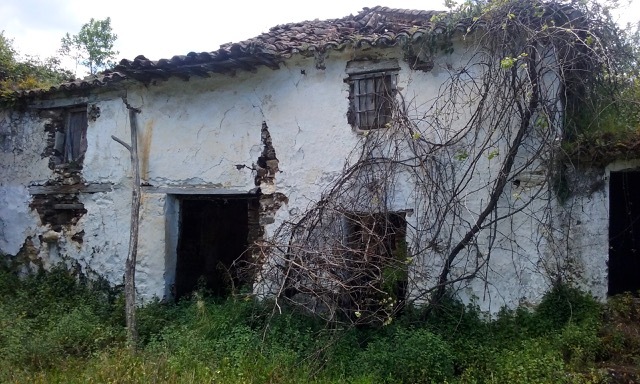 The next contestant is a lovely two-story finca near Estación de Benaoján. The roof has caved in, but that is a minor detail, especially if one considers the idyllic location, tucked beneath a green hill, nestled next to a couple of towering eucalyptus trees, with undisturbed sweeping views. 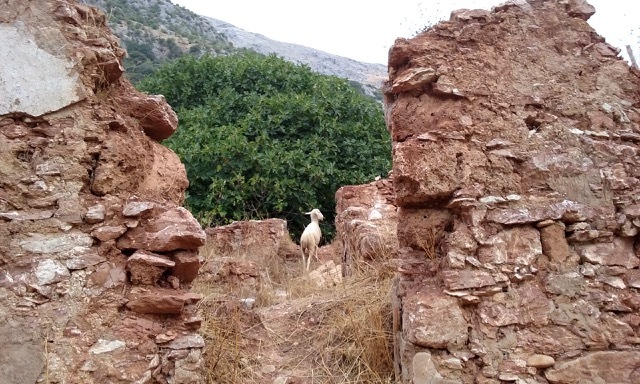 If you look carefully to the right of the photo, you see that the property comes with a couple of well-disguised speckled black sheep, and who wouldn’t like to have a black sheep to keep one company? This is not your regular private dwelling. It is an Arab fortress and key player in the Battle of Teba in the year of 1330. It is protected, but it still falls under my definition of a ruin, and a stunning one at that! Located just above the village of Teba, hopefully nobody will be able to build this into a dream castle or Andaluz theme park. Instead, this is where one can see a perfect example of how a stone carcasses of past grandeur blends beautifully with the landscape. And what a golden vista! I am writing the heading without really having any scientific proof of the claim. This grand old house, located on the gravel road along the ridge leading to Virgen de la Cabeza, is said to be haunted. Our neighbour used to play tennis with the children living there half a century ago, which shows how quickly things fall into ruin when left to its own demise, or to graffiti artists and vandals for that matter. Anyhow, in my own far-too-developed imagination, this was a dancing establishment and members-only gambling club in the swinging 1920s and 30s. The word on the street is that it has been sold and that the new owner wants to build a hotel and luxury residences on the property. In other words, goodbye ghosts! Before this happens, I will chain myself to Villa Apollo to try to prevent them from tearing down this charming ruin. This ruin just above the village of Montejaque may not be to everyone’s taste, but it certainly is one of my favourites, possibly THEE favourite. First, look at the dramatic setting with that sculpted cliff behind. Then there is the neighbourhood of course, wide open to interpretation. And finally, there is the structure itself, a minimalist dream. I say no more! The beauty of this fixer-upper is how the visteria has completely taken charge of the place. 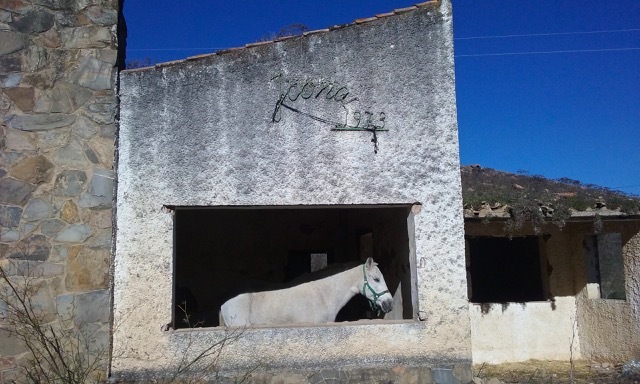 The finca, including outhouses, sheds, stables and even bits and pieces of broken furniture, is in the vicinity of Júzcar, the bubble-gum-blue village where the Smurf movies where shot and where we are too old or too snobbish to enjoy going. The property is impossible to find, unless one balances over rivers and scrambles through thorny tracks. However, when we finally got there, we did notice some type of farm road coming in from the opposite direction and a live human being working on the nearby land. We are coming dangerously close to the top of the list, so these are all my favourite favourites. 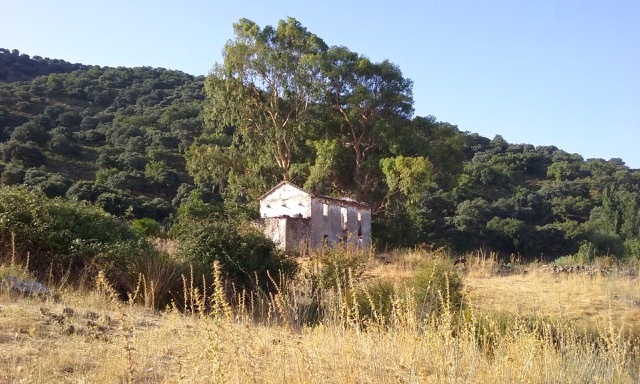 We have walked past this ruin several times, as it lays on the hiking trail between Estación de Benaoján and Jimera de Libar (thank goodness the Spanish like their names short…) The ruin has a lovely terracotta hue, which in itself grants special notice. But with the young lamb as a guard sheep, it certainly deserves this year’s bronze. This ruin is pure poetry. 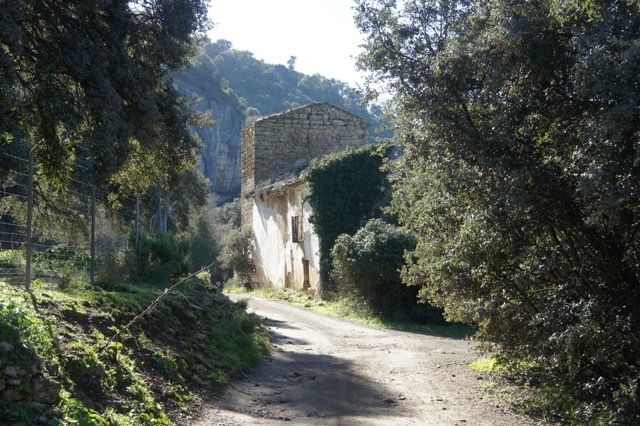 It is located in a twist in the sandy road leading from Ronda to Tajo del Abanico, before one gets onto the nature trail. It is also on what use to be the main transport road between Ronda and the coast of Gibraltar, we are talking centuries and centuries back. I have scores of pictures of this ruin, as I cannot pass it without taking another shot. 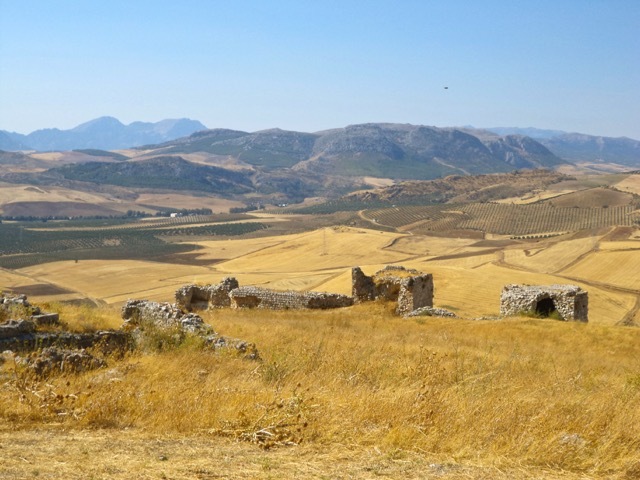 The tallest part, or so we have been told, is the remnants of a Roman grain tower, as they used to grow grains, olives and grapes around Ronda some two thousand years ago. Although it looks beautiful as a ruin, one can only hope that the local authorities decide to protect and restore this priceless piece of history. The tower has been added to and built around in later years. Interestingly, the newer buildings are in a much poorer condition than the much older tower. Even if the towers have been fixed and mended through the years, but it still goes to show that the Romans built to last. Did I say it would be a countdown of ten? Well, like the BBC Escape to the Country TV program, I decided to add my mystery house, as well. Tagged on at the end, I will let it be a teaser for my next, but likely not last fixer-upper countdown. Ronda’s Tajo had about a dozen mills built into the steep cliff side, many which were used until just a couple of generations ago. 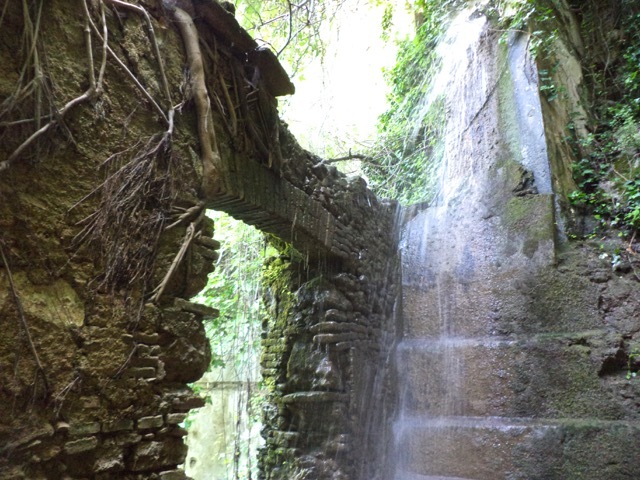 Now overgrown by trees, roots and foliage, the mill-ruins are like jungle village beneath the town of Ronda. It is truly a hidden jewel, but do not try to find it on your own or you might have a very long fall in the process. I leave you with another image, as a reminder that all starts and ends as dust. It is a rather humbling thought, bringing us closer to the ground as it were. 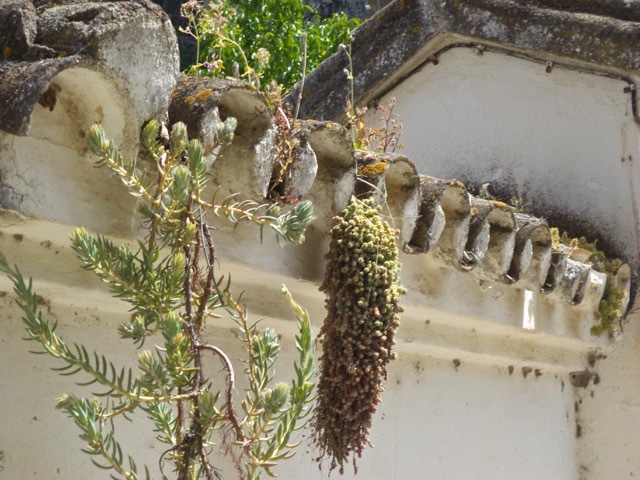 While I am still in a relatively human form, I will keep photographing and sharing my favourite Andalucian fixer-uppers and ruins. Like my friend Ruby Silvious from New York, who just published her book 363 Days of Tea with her beautifully hand-painted daily teabags, maybe I should publish a book of My year of Andalucian Ruins? Definitely worthy of a coffee table book, or at least a calendar to start! I just love what your eyes see, Karethe.